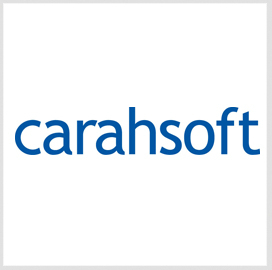 Carahsoft Technology has received a potential five-year, $125 million blanket purchase agreement to provide Red Hat’s (NYSE: RHT) software and services to the Defense Department and related agencies. The BPA will run through April 1, 2023, and includes training and maintenance support services for DoD, the U.S. Coast Guard and intelligence agencies, Carahsoft said Wednesday. Carahsoft will support the BPA through its contract management, sales, marketing and partner enablement capabilities as well as provide on-site training and webcasts on software updates and contract terms. Natalie Gregory, vice president of open source solutions at Carahsoft, said the award marks the company’s third consecutive BPA for Red Hat platforms under DoD’s Enterprise Software Initiative and reflects the Pentagon’s effort to broaden its adoption of Red Hat-built open-source technologies that support mission requirements by preventing vendor lock-in arrangements. ESI is a program supported by DoD’s chief information officer and seeks to reduce the total cost of ownership for commercial software, hardware and IT services.